Viknesh Vijayenthiran January 2, 2013 Comment Now! 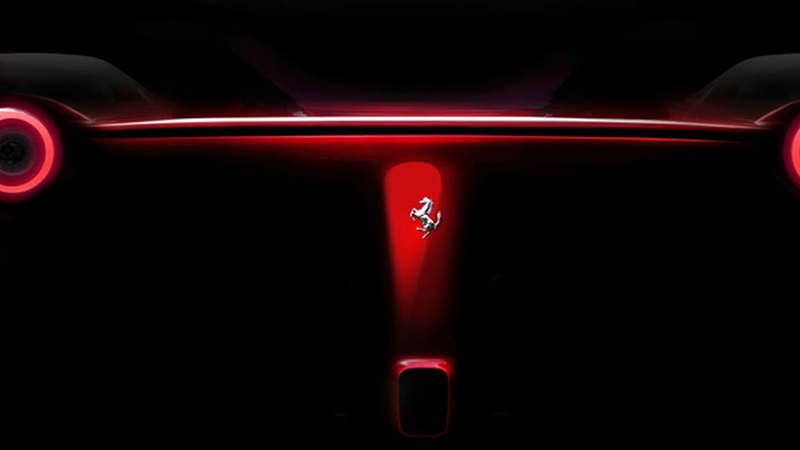 One of the most important cars of the decade, Ferrari’s replacement for the Enzo supercar, the code-named F150, is scheduled to be revealed in the coming weeks. 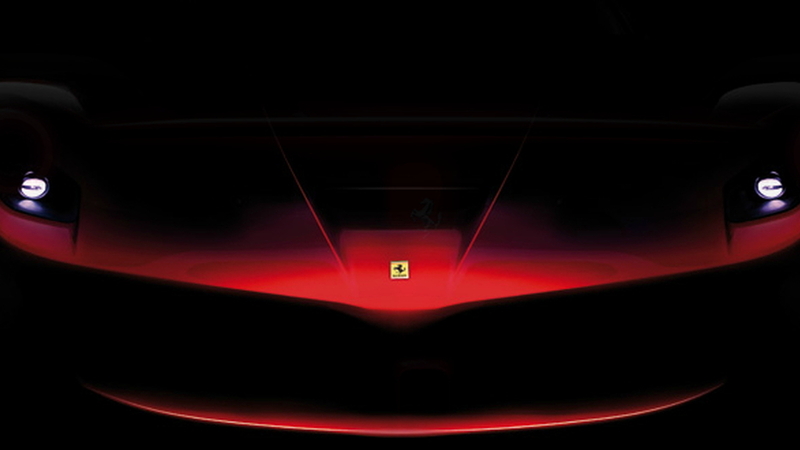 Ferrari has already teased us with a few shrouded images of its new flagship, and revealed some of the car's technology, but so far most of the details remain secret. 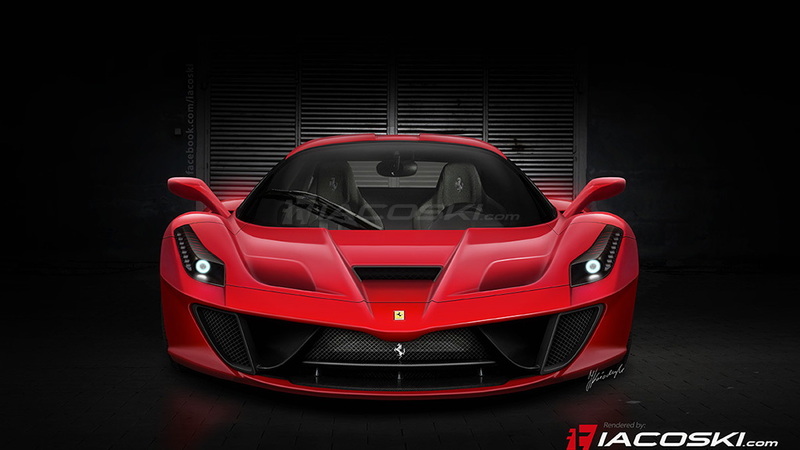 For those readers that can’t wait any longer, and that probably means you, Iacoski Design has come up with a new rendering that provides clues as to how the Ferrari F150 will look. Based on prototypes spotted in the wild, as well as the previous teaser images, the rendering lights up the darkness and shows us the stunning beast hiding in the shadows. 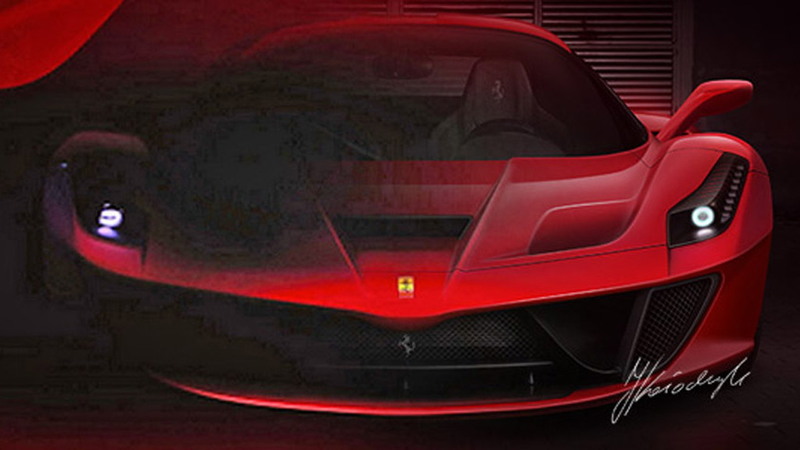 The rendering shows an evolution of the Enzo, with influences from the track-only FXX experimental cars as well as Ferrari’s Formula One race cars. This makes sense as the F150’s chief designer Flavio Manzoni previously stated he wanted a look inspired by F1 but not a carbon copy. The rendering also shows that the F150 will likely benefit from an advanced aerodynamics package, which may include active flaps in the front bumper. On the F12 Berlinetta, these open up to feed air to the brake cooling ducts, but only at high operating temperatures in order to minimize drag. The hood and lights, meanwhile, are designed to generate downforce by channeling air away from the upper part of the car to its flanks where it interacts with the wake from the wheel wells to decrease drag. At the heart of the F150 is a full carbon-fiber monocoque, which has been under development for over three years. Heading the design is none other than Rory Byrne, the engineering chief of Ferrari’s F1 team, who has selected four different types of carbon fiber for the monocoque and plans to build them to the same standard as the F1 cars. The end result, says Ferrari, should be a monocoque that displays 27 percent more torsional rigidity and 22 percent more beam stiffness than the Enzo. The structure will also be quite small, with the oversize of the F150 being about the same as the 458 Italia despite it packing a V-12 engine and hybrid system. The engine will be an evolution of the F12 Berlinetta’s 6.3-liter unit, though it will benefit from the addition of Ferrari’s HY-KERS hybrid setup to boost output and lower emissions. Ferrari claims a 10 percent reduction in the 0-124 mph sprint, along with a 40 percent reduction in emissions compared to a non-hybrid solution. The system will allow for precise torque vectoring, traction control and brake force distribution, too, all of which translate to faster times around a race track. Even the batteries have been chosen for optimal weight and output, giving the electric power component of the F150 the same power-to-weight ratio as systems used in F1. Final output of the F150 could be as high as 920 horsepower while overall weight could be as low as 2,425 pounds. Next year is shaping up to be huge for supercar fans, as well as fans of advanced powertrain technology. Not only will we see the launch of the hybrid Ferrari, but arch rival McLaren is planning to launch its new P1 supercar, which is tipped to feature a hybrid system of its own, and then there’s Porsche with the 918 Spyder plug-in hybrid.